Taking a step back: What is C.A.R.E.? C.A.R.E. (an acronym for Consistency, Accessibility, Reliability, and Expertise) is Schill’s official, four-part philosophy for building an extraordinary customer experience. Before we make any decision, we ask ourselves whether it will improve our performance in any of these categories. This article on consistency is the first in a four-part series about C.A.R.E. that’s designed to show those who aren’t our customers what to look for in an exceptional grounds management company, and to update our current customers on new advancements in how we do business. In other words, it was created to show just how much we care. We’ll also talk about future developments we’re planning that will allow for an even better experience for our customers. Want to learn more about C.A.R.E.? How are the best companies consistent? You can't treat your employees poorly and then ask them to go out and deliver an extraordinary experience. 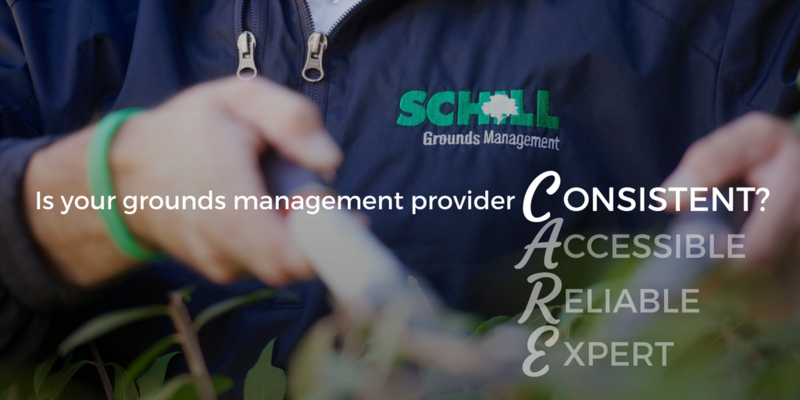 Company culture is everything, and that’s why Schill Grounds Management invests in our team. We have a 92% retention rate among our managers, but we work very hard to make sure that all employees are happy. From tuition reimbursement for industry training to social events and parties for employees and their families, we want our team members to feel like Schill is a place where they are free to learn and develop. This makes a huge difference when it comes to making sure our customers have consistent service. One of the biggest complaints we hear from property managers looking to make a switch is that their main contact keeps changing and that the crews working on their property are never the same. Here at Schill, we’re constantly working to provide our employees with a great place to work. This means you have experienced workers who are going to be familiar with your property and the people who use it year after year. A big part of our journey to become a more consistent grounds management provider has been focusing on what we’re great at. Instead of providing an okay experience for customers in every market, our decision to focus solely on servicing commercial properties allowed us to spend all of our time and resources on taking the stress out of landscape management for those who manage commercial properties. Whenever we identify areas in our business that need development, we form formal committees that tackle making improvements to everything from equipment and customer experience to software. All Schill Grounds Management employees are invited to participate in these mini think tanks, from our entry level hires to our seasoned senior executives. This has been great for solving problems, and is proof that that the more engaged employees are, the quicker solutions to problems arise. A key part of providing a consistent level of excellence is measuring the factors that contribute to delivering an extraordinary experience. We do this through dozens of key performance indicators that we analyze as a group every day and shared with the entire organization. month. From a business standpoint, that means we’re working to be as lean a company as we can be, but we also work hard to eliminate waste and pass savings onto our clients. Through our Customer Experience Form, our clients can contact us about anything happening with their property, regardless of whether they want to leave a compliment for our crews, make a service request, or express a concern. All issues or complaints are immediately logged in a system that alerts the property’s assigned operations manager and client care specialist, who put a plan in place to resolve the issue before the end of day. We also track the total number of issues filed to the total number of service tickets we complete. From April 1st through November 30th we completed 15,801 jobs and had customer satisfaction score of 98.5% (see the graphic above). While that’s a pretty good number, we’re working as hard as we can to get that number as close to 100% as possible. 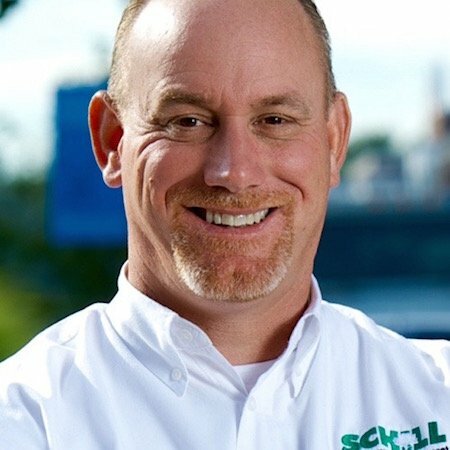 Schill has over 25 years of experience delivering a consistent experience for our clients. If you’re looking to work with a grounds management provider with whose goal is to deliver an extraordinary experience and has proven track record for making landscapes in Northeast Ohio shine all year round, don’t hesitate to contact us.